All Office 365 users get a full, dynamic and professional email signature when sending from every device, including smartphones, tablets and Macs. Control all Office 365 signatures from a web browser. Use a smart and intuitive UI that is designed for users of all technical abilities. Allows for distribution of email signatures directly to an end user’s Outlook client. 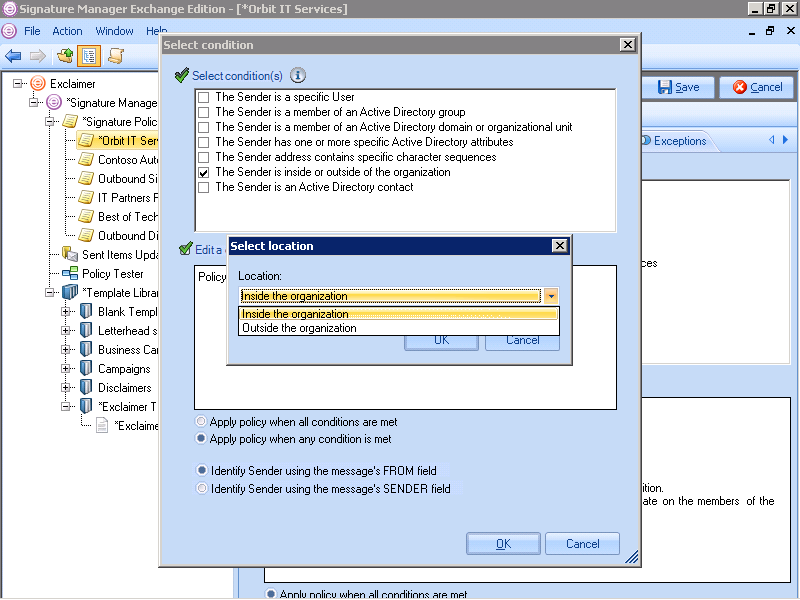 Create rules based on users’ Active Directory (AD) attributes, giving different email signatures to different teams. 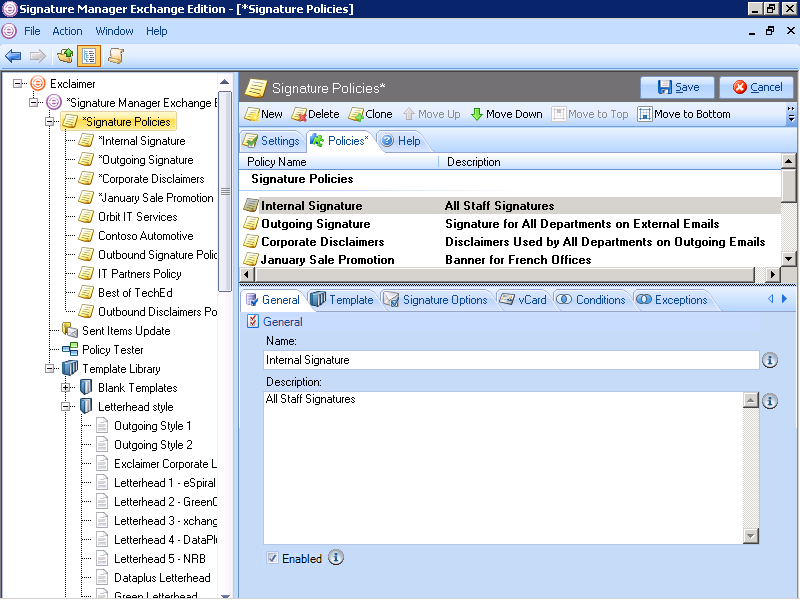 Interested in Exclaimer Signature Manager Exchange Edition? If you'd like to have a chat with us about Exclaimer Signature Manager Exchange Edition, please select this option. If you'd prefer to email or phone us, our details are also here.